Prescott Park was created and has been maintained by the terms of the last will and testament of Josie F. Prescott, a life long resident of the City of Portsmouth. 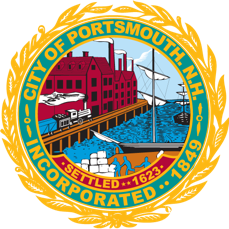 It was her wish that a public park, free and accessible to all, be established along the Portsmouth waterfront replacing what had become a run down industrial area of Portsmouth. The land to be acquired was designated to be along the Piscataqua River between lower State Street and Pickering Street. Once acquired the land was to be given to the City for the use as a public park. The remainder of the funds, first in a private trust and later in a public trust, have been dedicated to the purpose of preserving and caring for the park in perpetuity. Publically available docking space is available at Prescott Park on the Piscataqua River in Portsmouth. Reservations for overnight may be made online by using Dockwa (see below) or in person and by phone (603) 498 6816.